Today you can read my article on Hoosier Homemade where I discuss the very serious problem of crumb theft. Yes, the rampant crime spree that occurs in my kitchen whenever I've baked a crumb topped dessert has left me desperate to find a solution. And since it does seem to be all about the filling and the crumb topping, I've solved the problem by eliminating the pie crust altogether and just handing everybody their own personal crumb filled dessert jars. Head on over to Hoosier Homemade to see the recipe! You make me laugh, Anita. 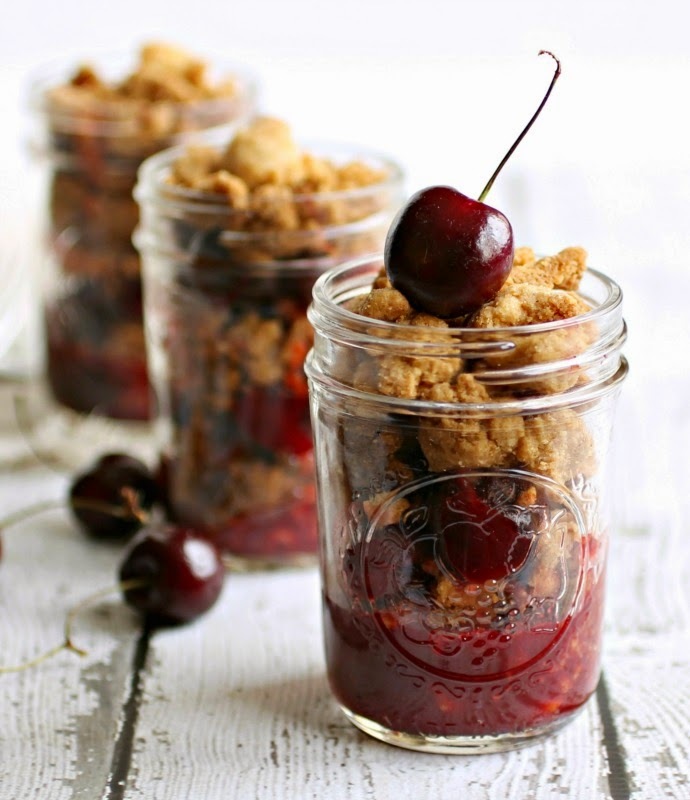 And make beautiful desserts like this cherry pie in jars. Which is why I love you.